Baby car mirrors are designed in a manner that they allow parent drivers to see their kids when traveling from the rear-facing auto seat. Securing a shutter-proof reflective surface to the back headrest will enable you to check on your baby by glancing on your rear-view mirror. Below are some major benefits of a child car mirror. Kids love human faces and tend to get bored if left unattended for long. 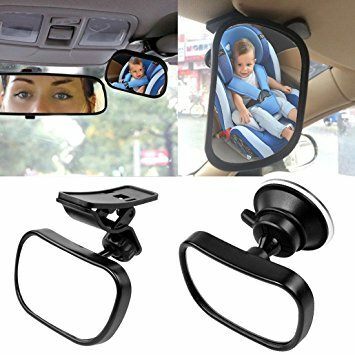 Placing a mirror on the backseat headrest or a baby car mirror no headrest will allow them to see a familiar face hence bringing so much comfort to the baby. They get confused especially in strange environments but seeing your face every time they look at the mirror ensures that they are comfortable and at peace all through the journey. Interacting with reflections will strengthen your baby’s social skills. Looking at their own face on the mirror will encourage them to explore body language and facial expressions which enhance their speech as they learn to speak. The mirror will also allow you as the parent to watch as their curiosity grow as they become more aware of their own movements and the surrounding. With time, the infant starts to recognize itself thus improving its cognitive skills. Gazing at reflections enables them to focus on objects and trace movements. This is very important for the development of your baby’s brains. It is the joy of every parent to know that their child is in good condition when travelling. The baby car mirror allows you to take a glance at your child every now and then and seeing your baby playing or just sleeping will definitely give you peace of mind. You don’t have to keep on turning to check up on the kid.